Life has been pretty hectic lately, so much so I haven't been able to update my blog. Since the last post I finally caught up with a patch RING OUZEL on Saturday . 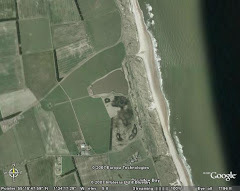 The bird had been reported two days earlier by a visiting birder in the dunes to the north , I had two brief chances to look for it on the Thursday but couldn't find it. After another couple of hours on the Friday I finally found it in what remains of the Druridge bushes (the cows have hammered them lately). No photos unfortunately as it was a skulker. On 10th April a spoonbill arrived and was joined later by a second bird. Since then I have been visiting the patch whenever I get a second. As I was away to Jersey for a long weekend last week, Saturday brought a flurry of year ticks. First off was this reeling grasshopper warbler - so much for being a skulking species, this one hadn't read the rulebook, it's been singing from this fence for three days! It was amazing to watch at close hand, it's entire body vibrating when it was reeling. Next up was a drake green-winged teal on the Budge fields. This bird had been around for a day or two, so it was nice to catch up with it - mind it took some finding! Other highlights on the Budge fields were three to four ruff, an amazing 28 whimbrel - which flew off when the cows arrived, a stunning brick-red bar-tailed godwit and a few blackwits. Also new for the year was sedge warbler, little owl and common tern. 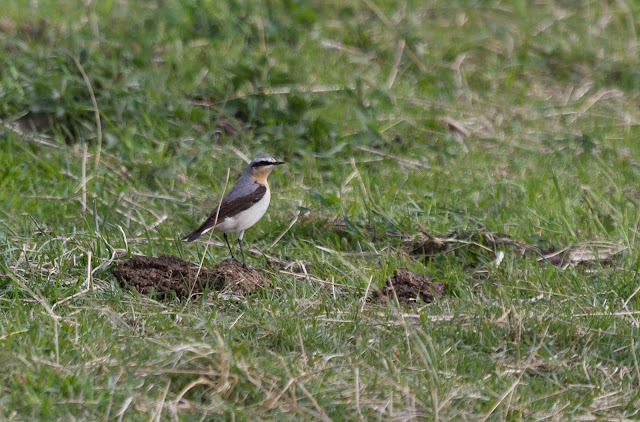 On Sunday I had a quick around through the dunes to the north looking for migrants - it was very windy but a count of 15-20 wheatear in the grazed dunes was impressive. This poor hedgehog must have investigated the pipe socket that is by the turning circle and drowned itself or decided it couldn't face a bank holiday weekend at Druridge and did itself in. Today the wind was a bit lighter but still out of the east making it feel cold. I headed for the Budge screen and bumped into Peter Williams of Patchwork Challenge fame. Peter picked out the wood sandpiper that arrived yesterday. Also of note were at least five ruff, two of which were starting to look a bit dapper, a handful of blackwit and a single dunlin. No sign of the green-winger. I mentioned cows earlier - four have arrived on the Budge fields and the timing couldn't be better for the breeding and passage waders so 'Well done' to NWT. (seemingly, according to the local farmer they had been released last week but had escaped - anyway it is good to see them. I've got another couple of busy weeks ahead of me but hopefully I'll find time for a visit to the patch. Enjoyed my first Green Winged on Saturday. Ended years of looking at thousands of Teal for a vertical stripe! Three Blackwits flew over at 0700. 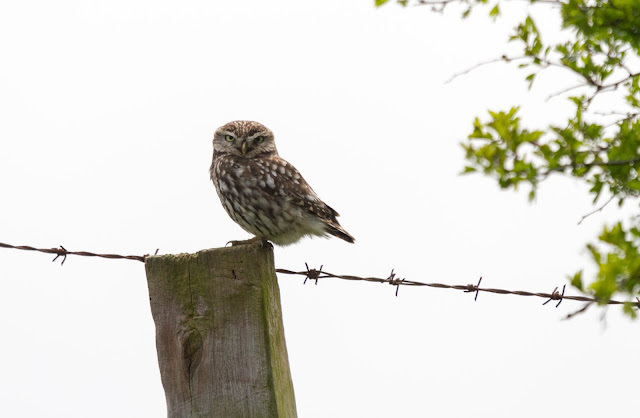 A Shortie flew low across Budge and, to my amazement, nothing panicked. I had nine Whimbrels fly in and out again. Loads of 'gundinking' male Shovellers.